In this article we consider why, after shutting down or restarting a laptop / computer / server in the operating system, the current date and time settings specified earlier can be reset. Consider both the most trivial case with a dead BIOS battery, and more interesting cases with multi-boot Windows and Linux on one computer, and a firmware bug on Windows HPE ProLiant G9 / G8 servers. The most “classic” answer to the question “Why is the time and date not stored on the computer being saved?” Is a dead BIOS battery. This battery is responsible for saving the BIOS / UEFI settings when your computer / laptop is unplugged from the outlet, and also provides for the autonomous operation of the built-in hardware clock. If replacing the battery did not help, check the status of the BIOS reset jumper (jumper with jumper is located next to the battery compartment and can be labeled as CCMOS / CLEAR / RESET). 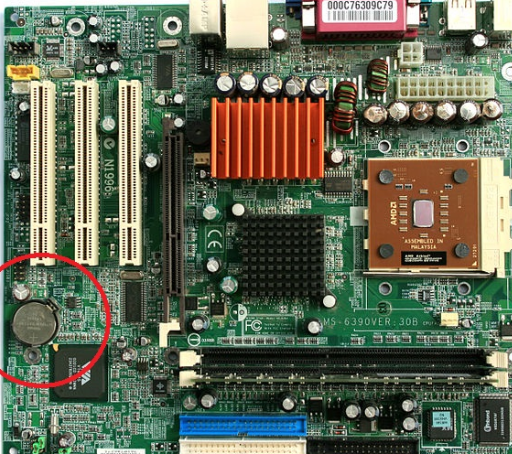 Perhaps someone left this jumper in the “reset” position, as a result of which, each time the power is applied to the motherboard, the BIOS settings are reset. Return the jumper to its normal position. The next option is to update the firmware of the motherboard’s BIOS (see how to do this on the website of the manufacturer of your hardware). Often, newer firmware fixes various bugs. If you constantly change the date / time settings in Windows, first of all you should check the current time zone settings and time synchronization settings with the Internet. In Windows 10, you can view the current time settings in the toolbar menu (Control Panel \ Clock, language and region -> Date and time). In this example, you can see that the time zone is UTC + 03, the transition to winter time is disabled. Council You can control the Windows time zone from the command line using the tzutil utility. If your computer is not in the domain, check the time synchronization settings with an external time source (NTP time server). In this case, in the same window, click on the “Time over the Internet” tab and check that the computer is configured to automatically synchronize time with the server time.windows.com. See also :What to do if computer works slowly?